I've only been on a plane 2 times before now. Both times, I had adults doing most of the heavy lifting for me. Though this time around I realized it's not as complicated as I expected. The hardest part which was more so time consuming than anything was rechecking my luggage in San Francisco. Then there was the confusion at the Seattle airport where my ticket said I'm entering one gate, and my phone said another. In the end I made it barely before the plane left, and the attendant hooked me up with premium seats for the trouble (so much leg room). I'm not sure I regret the decision yet, but I did learn ways to stay fairly comfortable and get a few hours of sleep. Like making sure my luggage was next to me, using some carry on clothes as pillows (till I bought a neck pillow, what a blessing). But I made do with what I had. My favorite part so far has been watching the transition of the airports get bigger in size and more international the farther I get. 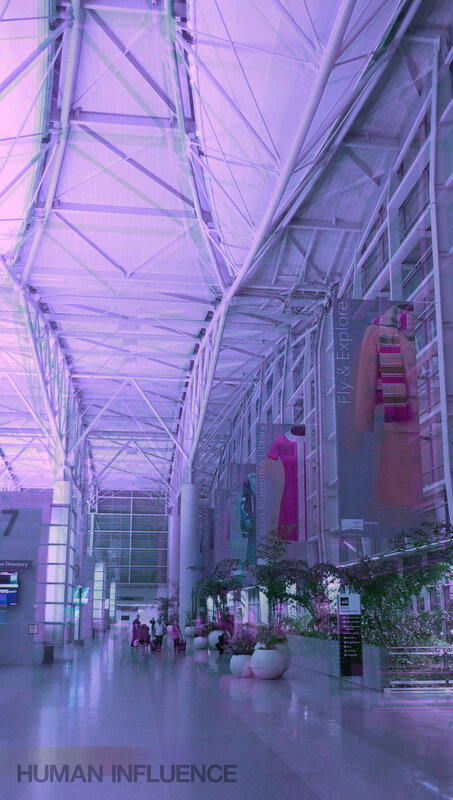 The International section of the San Francisco airport was adorned with lovely Chinese drapery as well as art inspired by the region. I wish I took more pictures, but I'm hoping to be able to do that in Shanghai. That way i can give you guys a better understanding of what I'm talking about. Anyway stay tuned! Joseph Bonney is a contributing writer for Human Influence. He recently moved to Japan to teach English; follow his travels here, on Insta (@joebonesart) and Twitter (@JoeBones21).